This 3-bedroom, 2 bath home has 9ft ceilings on the main floor featuring 10ft ceilings in the great room and foyer. The large foyer and open concept kitchen, dining room and great room allows for optimal entertaining. The kitchen includes a huge 11 foot island, a walk in pantry, and a built in dining room table. The executive kitchen finishes include maple cabinetry, quartz countertops and tiled backsplashes. The house shines with maple hardwoods and ceramic tile flooring, chrome spindled railings, a customized tiled fireplace, and a built in maple entertainment unit. The large master bedroom has a private walk in closet and a deluxe ensuite featuring a 6ft tiled drop in jetted tub with stand-alone glass shower. 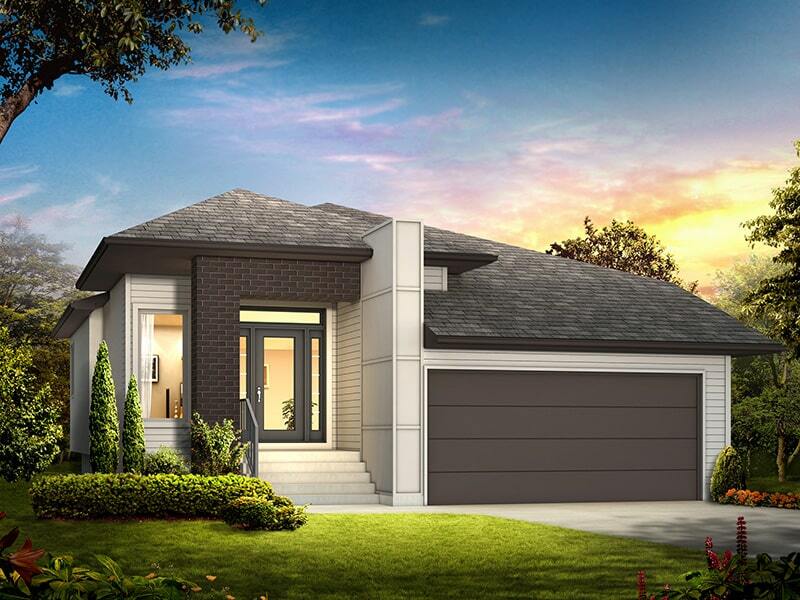 The brick and exterior trim detailing combined with a glass front door with sidelites makes this bungalow stand out from the rest. Square Footage: 1,600 sq. ft.